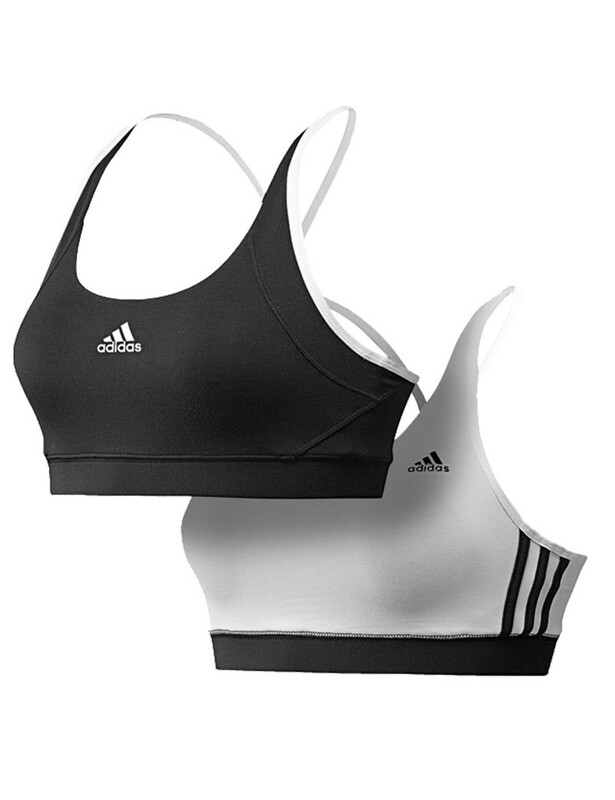 - Reversible design: white with applied 3-Stripes or plain black reverse. 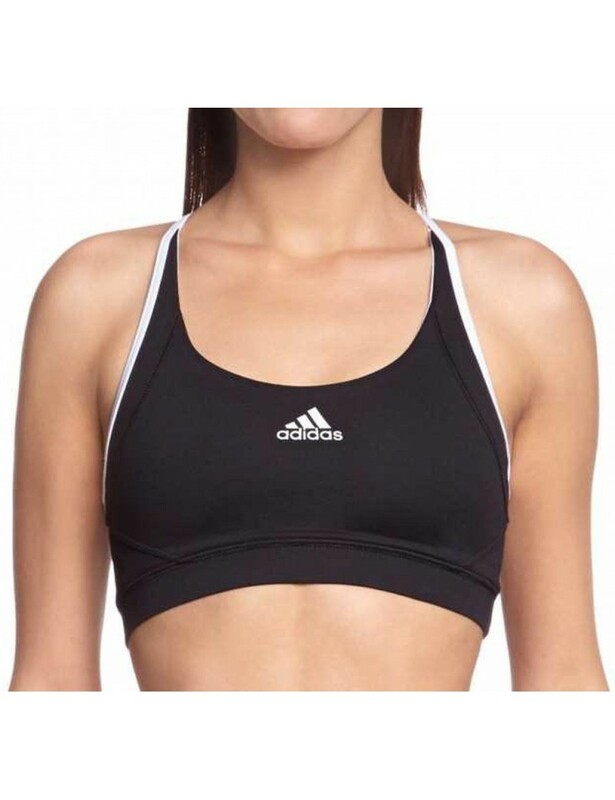 - Adidas logo printed to left chest on white or center on black. - Light support.- Body: 88% Polyester, 12% Elastane. Straps: 92% Polyester, 8% Spandex.